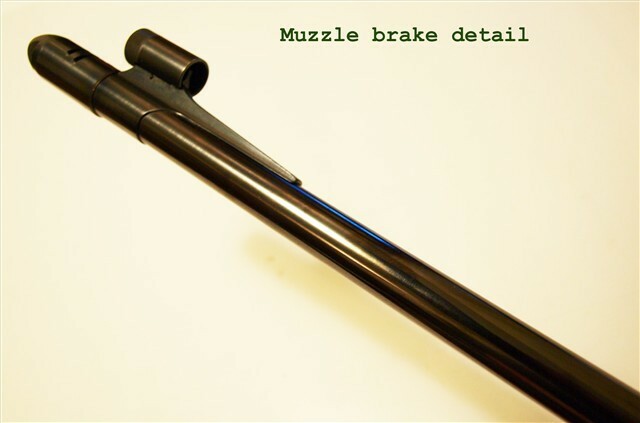 Quote Reply Topic: Broken Muzzle Brake! I recently purchased a Springfield 1903 sporter that is in very nice overall condition from what I can tell. The rifle is beautiful with very few marks and all the bluing etc is in great shape. The previous owner had a muzzle brake installed on the barrel which did not bother me much as I wasn't planning on using the gun for a stalking rifle where I would not be able to put on ear protection. Anyhow, I went out and shot the rifle for the first time today and somewhere during the course of six shots part of the muzzle brake sheared off. I didn't even notice it until I was cleaning the rifle!!! I looked the brake and other parts of the rifle over well when I purchased it and I could see no fissures or cracks in the metal-nothing that would explain this kind of damage. I am worried about the integrity of the rest of the rifle now!!! Has anyone ever heard of something like this happening? I've posted a few pictures of the brake below. My question is what do I do now? Should I file down the rough edges and use the brake as is or will that effect the way it shoots in all likelihood? I was going to simply take the brake off, but I cant seem to find the right size hex key to loosen the set screw. Its hard to see from the photo, but the break used to have two narrow cuts in the top. The center piece of steel apparently fractured off somehow and now it is just one large cut!! Do you have the ability to "slug" the bore? That's where I would start. Also I would take that muzzle brake off. Is that a custom manufactured brake? Might have been made of steel that is too brittle.? First time I have seen a brake loose a chunk though. Cheap way out take a dremel tool to it and smooth it and put some cold blue on to keep it from rusting. Any muzzle break should not interfere with the path of the bullet it should only alter the flow of the gas once the bullet has left the barrel. 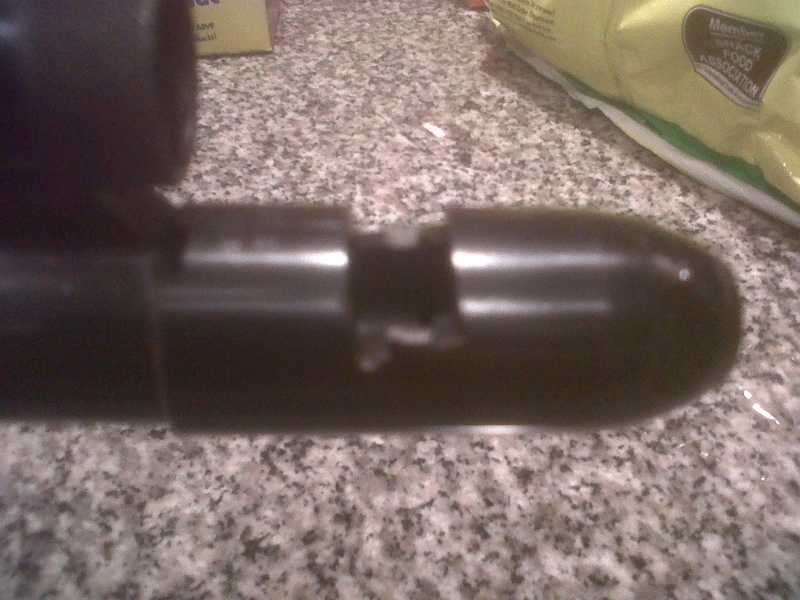 Yea, I had never even heard of a muzzle break failure before. I am considering whether smooth it out and cold blue it or to simply have it removed entirely. One problem is that I can not find a hex key that will match the set screw. I think it was a commercial job but I'm not sure. The brake has the name of a company I believe and the designation "Fat Pen" written on it. You do know they make hex in both standard and metric -- right? It looks like the brake that was offered on sportierized military surplus from a company call Herters, around the 50's. Had one on a mauser 98 built by them. They were some of the first brakes around made for civilian type use and was a departure from the ventura types used on anti-tank and larger type military stuff. Brake failure is more common than one would think, usually not seen on rifles much because most people really don't shoot much. I've had a Clark and a wilson on IPSC pistols start to fissure at the thinnest point, but was around the 100,000 rd. mark on each hand gun and compensators on hand guns usually have much more material removed . Once the fissure starts, the end of the brake sags and the pressure increases at the clearance point of the bullet and the device. My advice is to have the barrel cut and recrowned. If you don't you won't know if accuracy problems are due to this or something else. 100,000 rounds.... whoa nelly, now that's some trigger time! I dont know how many rounds have gone through the rifle, but I can say the bore looks very good and the bolt face and other surfaces don't seem worn enough to have had 100,000 plus rounds through them. Then again I'm no expert. I believe Dale is correct. It does indeed look like a Herters brake. The 2 slots causes a weak spot at the web between the ends of the slots, especially if the corners of the slot are square at the ends, which creates a stress riser. Over time, the pressure and concussions from firing hammering that narrow strip of steel causes a hairline fracture along the stress riser, until finally, it breaks loose from the pressure of escaping gas. This is much less likely to happen with brakes using drilled holes, because radiused openings don't create the stress risers like square cornered slots will. I believe Mr. Clifford has summed it up nicely. I knew I'd seen such a brake before, but couldn't quite place it. Herter's had a great catalog back in the day. All kinds of brakes & flash hiders and harmonic adjusters out there,,,I wouldn't just leave it in place, it would almost certainly ruin the 'harmonics',,,and it may be on the verge of further disassembly as well.